When the Government of Dubai asked Blackwood to produce its annual economic report, we knew we needed to aim high to capture the essence of Dubai's success. 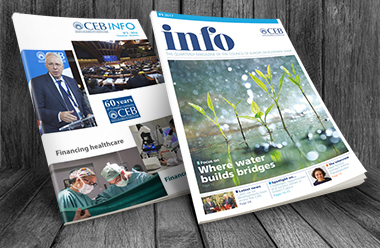 Blackwood has given the CEB’s Info magazine a bold new look, transforming it into an engaging read for French and English speakers. Our work on the ICD’s 2017 annual report demonstrates just what you can achieve with a clear vision for design and content. We have helped the Islamic Development Bank increase stakeholder engagement by developing a sophisticated new design approach to its annual reporting. This has led to us being involved in other significant and successful projects. 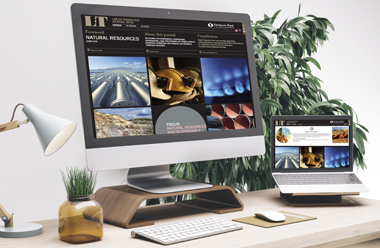 Superb cost-effectiveness and enhanced global reach – just two of the benefits we brought to the EBRD when we created an English/Russian microsite for a key legal report. Established in 1942, BandCE is a not-for-profit organisation creating simple financial products. In 2011 BandCE launched the People’s Pension, which has won awards consistently since 2012 and continues to grow nationally. Chance UK is an award-winning early intervention children's charity that organises intensive mentoring and family support for 5-11 year-olds with challenging behaviour. Founded in 1956, the Council of Europe Development Bank (CEB) is a multilateral development bank with an exclusively social mandate. CEB provides finance and technical expertise for projects with a high social impact, actively promotes social cohesion and strengthens social integration in Europe. Crossrail Limited, established in 2001, is the company that has been set up to build the new railway that will become known as the Elizabeth line when it opens through central London in 2018. This is Europe's largest railway and infrastructure project and the largest single infrastructure investment ever undertaken in the UK. The Department of Economic Development (DED) is the government body entrusted to set and drive the economic agenda of the emirate of Dubai, UAE. The DED supports the structural transformation of Dubai into a diversified, innovative service-based economy that aims to improve the business environment and accelerate productivity growth. The European Bank for Reconstruction and Development (EBRD) was founded in 1991 to create a new post-Cold War era in central and eastern Europe, furthering progress towards ‘market-oriented economies and the promotion of private and entrepreneurial initiative’. 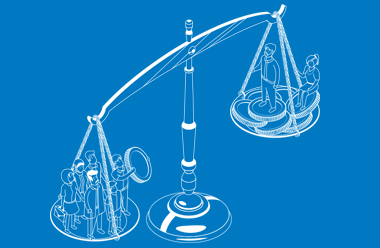 The European Social Survey (ESS) is an academically-driven social survey designed to chart and explain the interaction between Europe's changing institutions and the attitudes, beliefs and behaviour patterns of its diverse populations. The past few decades have witnessed incredible growth throughout all sectors of the Dubai economy. The emirate’s government is constantly working to improve its commercial transparency and introduce dynamic regulations that aid the formation of small and medium enterprises. The Islamic Corporation for the Development of the Private Sector (ICD) is a multilateral development financial institution and part of the Islamic Development Bank (IDB) Group. Established in 1999, ICD supports the economic development of its member countries and has an authorised capital of $4 billion. The Islamic Development Bank is an international financial institution established in pursuance of the Declaration of Intent issued by the Conference of Finance Ministers of Muslim Countries held in Jeddah in Dhul Q'adah 1393H. It is the Middle East's largest multilateral development financing institution, operating across 57 member countries. The Islamic Solidarity Fund for Development (ISFD) is dedicated to reducing poverty in its member countries by promoting pro-poor growth, emphasizing human development, especially improvements in health care and education. Joseph Joseph is an award-winning international houseware brand sold in over 100 countries across the globe with offices in London, New York, Paris, Dusseldorf and Tokyo. 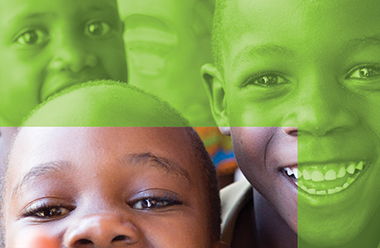 The Lives and Livelihoods Fund (LLF) is a $2.5 billion multilateral development initiative. 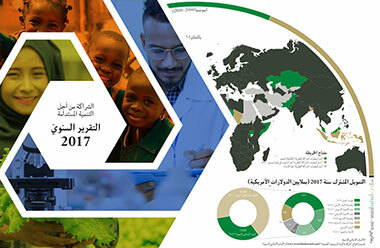 The LLF encompasses a number of key stakeholders in its scope of activities and partnerships, including the the Bill & Melinda Gates Foundation, the Islamic Development Bank, the ISFD, the Qatar Fund for Development, the King Salman Humanitarian Aid & Relief Centre and the Abu Dhabi Fund for Development. The National Health Service is the publicly funded healthcare system for England. It is the largest and the oldest single-payer healthcare system in the world. The Nursing and Midwifery Council (NMC) is the regulator for nursing and midwifery professions in the UK. The NMC maintains a register of all nurses, midwives and specialist community public health nurses eligible to practise within the UK. Practical Law Company (PLC) is the leading provider of legal know-how, transactional analysis and market intelligence for lawyers. For over 175 years RLSB has been educating and supporting children and young people with visual impairments in London and the South East of England. SABMiller is the world's second largest beverage company, employing 69,000 employees in 80 countries, producing and retailing over 200 brands. Since 1881, Sisters Hospitallers have been changing – and saving – lives at their care homes and medical clinics around the world. Driven by their Catholic faith, they work to bring to life their commitment to the powerful charism of Hospitality. The Tunnelling and Underground Construction Academy (TUCA) is a purpose-built facility providing training in the key skills required to work in tunnel excavation and underground construction. TUCA is the only facility in Europe dedicated to the education of soft-ground tunnelling techniques. The LLF Report has become a “great hit” here and liked by all, donors as well as staffers. Thank you once again and we look forward to the sequel next year. One more issue is out - thank you all so much! I still can't believe we managed to pull it through on time. Thank you for your efficiency and reliability. The Reports and Digests you designed are well appreciated by all staff who picked a copy. Thank you for the excellent job. WOW! Well done Blackwood, our General Assembly will be delighted with this result, as will the author of the report. The Bank’s Annual Report has been significantly revamped and improved and this improvement should continue as it has a major impact on engaging with the stakeholders. Blackwood's creative ideas for our annual report are just so Chance UK. The work is always on brief and your eye-catching identity continues to engage our stakeholders and supporters.